E-cigarette use is increasing, and the long-term impact on public health is unclear. 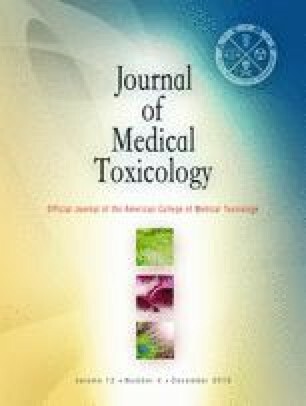 We described the acute adverse health effects from e-cigarette exposures reported to U.S. poison centers. We compared monthly counts and demographic, exposure, and health effects data of calls about e-cigarettes and conventional cigarettes made to poison centers from September 2010 through December 2014. Monthly e-cigarette calls increased from 1 in September 2010, peaked at 401 in April 2014, and declined to 295 in December 2014. Monthly conventional cigarette calls during the same period ranged from 302 to 514. E-cigarette calls were more likely than conventional cigarette calls to report adverse health effects, including vomiting, eye irritation, and nausea. Five e-cigarette calls reported major health effects, such as respiratory failure, and there were two deaths associated with e-cigarette calls. E-cigarette calls to U.S. poison centers increased over the study period, and were more likely than conventional cigarettes to report adverse health effects. It is important for health care providers and the public to be aware of potential acute health effects from e-cigarettes. Developing strategies to monitor and prevent poisonings from these novel devices is critical. No dedicated funding was allocated specifically for this analysis. U.S. Food and Drug Administration. Electronic Cigarettes (e-Cigarettes). 2015. http://www.fda.gov/newsevents/publichealthfocus/ucm172906.htm. Accessed 30 Dec 2015. National Institute on Drug Abuse. Monitoring the future study: trends in prevalence of various drugs. http://www.drugabuse.gov/trends-statistics/monitoring-future/monitoring-future-study-trends-in-prevalence-various-drugs. Accessed 12 Jan 2015. Euromonitor International. Vapour devices in the US. 2015. http://www.reportlinker.com/p03213538-summary/Vapour-Devices-in-the-US.html. Herzog B, Gerberi J. E-cigs revolutionizing the tobacco industry. http://www.smallcapfinancialwire.com/wp-content/uploads/2013/11/E-Cigs-Revolutionizing-the-Tobacco-Industry-Interactive-Model.pdf. Accessed 12 June 2013. Centers for Disease Control and Prevention. NICOTINE : Systemic Agent. 2014. http://www.cdc.gov/niosh/ershdb/emergencyresponsecard_29750028.html. Accessed 12 Jan 2015.